The Management Board have the responsibility for the directing the organisation’s business, ensuring it is well managed and delivering the outcomes for which it has been set up. The Board works collaboratively at problem solving and in decision making in projects and on development plans, which are then undertaken primarily by the International Business Manager. Learning changes a person, and in doing so makes them a more effective worker. Getting a qualification is not necessarily learning – sometimes it is, sometimes it isn’t. Having a qualification means you have passed an exam. Like a drivers test, that means you drove a car at one point in time well enough to be assessed as competent, but we all see plenty of incompetent drivers who have their licence. Authentic learning isn’t just about knowing facts. Anyone can open a book, read how to grow a plant for example, and tell you what they had read. A properly educated horticulturist can look at a plant species they have not seen before, and determine it’s plant family, then knowing that, deduce an appropriate way of growing it, taking account of the resources available, and in the context at hand. To learn anything well takes time and reinforcement. If you encounter a piece of information, and understand it, it will enter your short-term memory. You may well recall that a few hours or even days later but without reinforcement, it won’t be retained in long term memory. To ensure retention, the content needs to be covered and explored in a variety of contexts, you may not see the full range of applications for that knowledge. It is perfectly feasible for people to do a course and be assessed before information evaporates from short term memory. Having qualifications achieved this way may look good, but they don’t make you a more effective worker or an expert! To achieve proper, meaningful learning – for yourself, or in your employees, you must encounter what you study in different contexts, at different times, and embed your learning properly in long term memory. Use your school, the school staff and the support resources available from IARC to achieve this. 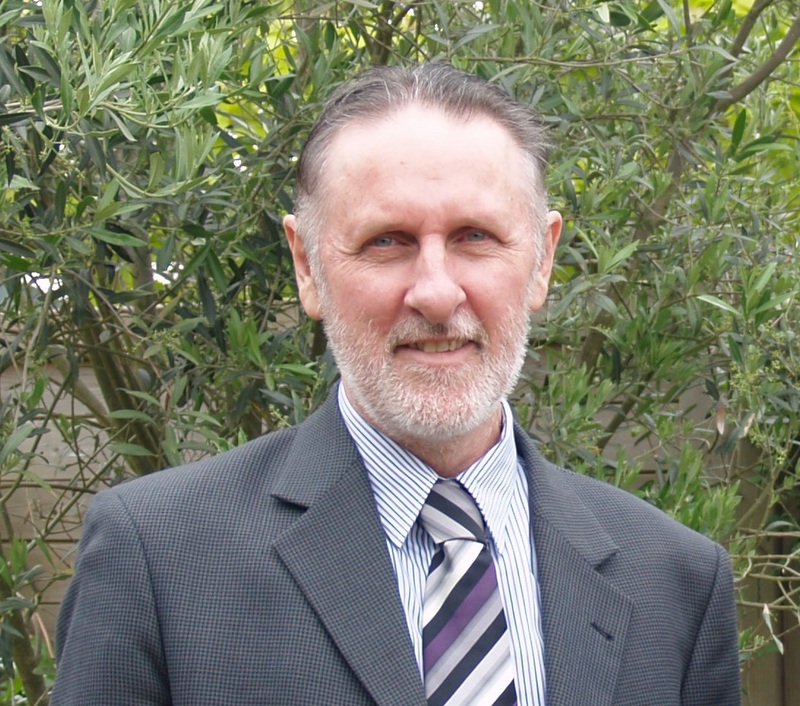 Extract of a blog post from acseduonline by IARC President John Mason. Have you been seeking an opportunity to develop professionally? Do you have 2-3 hours each month to get involved in something new which demonstrates your commitment to quality in education? We need you! For genuine success, there may be nothing more beneficial than the development of a positive relationship with the school's support and academic staff. Relationship is the context in which all learning takes place. Encourage learners to connect by opening lines of communication with them. Be compassionate toward your learners, make you school a warm and welcoming place to be. Provide learners with options for communication whether that means conducting online webinars, arranged skype calls, timely emails, structured feedback systems, text messaging, anonymous evaluation tools, phone calls, online messaging services, or social media platforms. For the most efficient communication, use the method of contact preferred by your learners. Don't shrink away from difficult conversations. If you go into an interaction believing that everyone should think the same way or agree with your strategy or agenda, you will never learn and therefore never improve. Staff who can communicate and carry out constructive disagreement are a great benefit to the school and students. Encourage learners to connect with their tutor or mentor. Learners who fail to have their questions answered or concerns addressed often fall behind. An issue which could be minor can become quite significant and the learner can struggle to move past it. A second great point about connecting with tutors is many of them are industry professionals, so it is likely they will know more than what is presented in the course notes or materials. This relationship has other benefits too - it can be utilised for developing professional networks, or a mentor can be a great person to write an academic reference for the learner. Integrate social media and online forums for your learners to collaborate. Online learners may have opted out of conforming to current education ideologies, however, sharing experiences with academic peers gives that comforting sense of not being a lone learner when the going gets tough! This is quite personal indeed as people have different ways of working productively, and learning can take place in every environment and setting imaginable. It is wise to remember the individual learning needs and traits of your learners. Simple advice for serious learning is to create a space which is quiet and free from distraction. Avoid online distractions from social media or videos. Suggest a physical space is set aside in the home or workplace, where learners routinely go to focus when progress is in order. So what does a good workspace look like? An app on a phone? A laptop on the dining table? A communal study area in the local library? A quiet corner in a bustling café? A large coffee and a powerful desktop? My advice in terms of staying organised is keep files in order. Save and save again! There can be nothing quite like the mind blowing experience of working meticulously on an assignment or project to then lose work through a power outage for example, or to accidentally fail to save the newest version through fatigue. Students need to be encouraged to keep their work in order and backed-up too! Learners must make decisions for themselves. As an educator all you can do on this one is give advice. Excellent leadership can initiate motivation, but I firmly believe the best form of motivation is the intrinsic form as this brings the best educational outcomes. External motivation usually involves some state of pressure. Give yourself some simple rewards on completion of a simple contract with yourself (i.e after 1 hour of focused study time, relax for 15 minutes doing something you enjoy, or move away from your screen). Consider a balance between responsibility and reward. Start slow at disciplining yourself. Study for short periods and gradually expand the time by 5 or 10 minutes per study session. Make a schedule and stick to it! Make progress obvious by keeping a checklist. Let's say for example there are 5 lessons or 5 classes to attend. Make and keep the checklist of 'classes' close by. As you mark off each lesson or class as complete, it can become very motivating - that accomplishment sustains the motivation. Ask for tutor or mentor interaction and feedback. Work with feedback and suggestions and make time to reflect on what's going well and where the challenges are. If we do this we can turn things around and a sense of achievement can become a motivator too. Don't ruminate on the negative. Listen carefully and take on what you can and then move on. Write a reflective journal. Write things down to organise your thoughts. One of the biggest challenges I hear from students is not them failing to get started on their course but finding time to keep going when life gets in the way. It can be hard to set deadlines for study in entirely self-paced and self-directed but it can be done. Help your students to recognise the importance of scheduled study time. Multi-hour blocks of time that can be devoted entirely to classwork or learning. The aim should be to stick rigidly to this schedule. A lack of regular class meetings is more (not less) of a reason to establish a consistent work schedule. Simple advice is to set up reminders on a phone or other device. The first reminder can be when learning is due to start. Reminders work for all sorts of important time/date points. Examples include, booking examination dates or assignment submission deadlines if they exist. Simply looking ahead over a period of 3, 6 or 12 months can be very useful. Learners should be encouraged to determine which learning outcomes will have been covered by which date and ensure the specific timeline allows for that realistically. In short, learners need to plan according to other important personal or professional commitments! Educators know, there is no point planning to submit a final project at the same time as their boss expects a major workplace audit or other enormous responsibility to be attended to. The joyous nature of most online courses is the flexibility. This can work for or against online learners. Become the most efficient with time! Okay so it can be worth establishing some ground rules with your learners from the start. How much time can you dedicate to supporting them and how much do you want to push them to grow as a self-manager? Ultimately, some learners will need you more than others, however sending emails back and forth becomes tiresome and making phone-calls can become unnecessarily time consuming. It is wise to put your students on the road to success without hand-holding. My suggestion - advise your students to write down their big picture goal. Then they should work out a few steps they'll take to get there. Say a list of 4-5 processes they'll go through at most. Then ask the student to identify the most challenging of all of the steps. Ask them to let you know. The fab thing is now you can help the person find a solution and stay on track to that big picture. You have stepped in and offered support (within a set boundary – prescriptive helping) and they’ve had a chance to develop some new tools in identifying weakness and asking for help. They feel assisted by you, but driven and empowered to overcome the hurdles. This is known as catalytic coaching in some circles, however, your students won’t look at it that way. They're off to a great start! This article was designed to give some ideas to boost learner engagement and help improve educational outcomes. 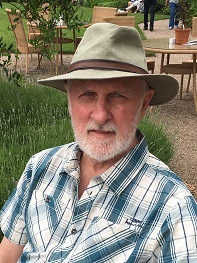 by John Mason President IARC, Board Member Australian Garden Council, Principal ACS Distance Education, Publisher and Author. 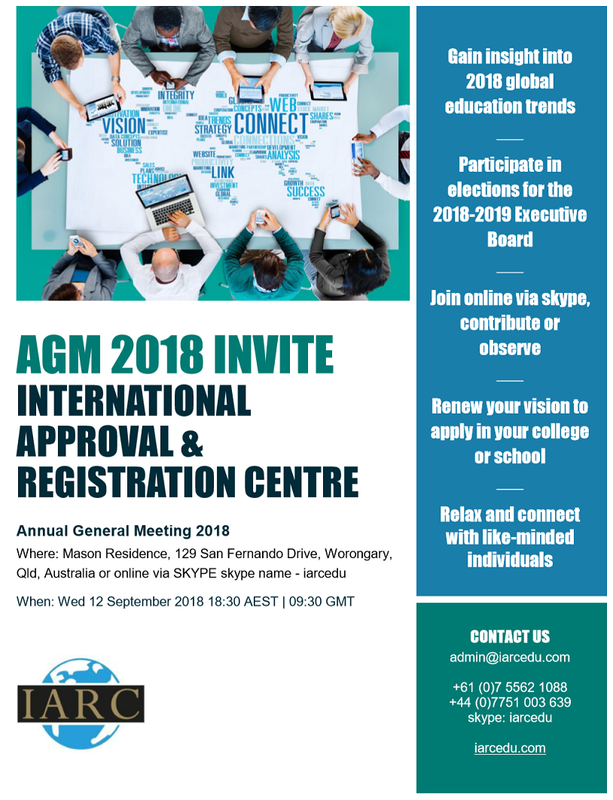 The 2017-2018 year has been a difficult year for many IARC members, with political and legislative changes, particularly in the UK and Australia impacting adversely on many of our members. In response to a changing education landscape, it has become a landmark year for IARC itself requiring us to make a series of changes to adjust to a world that is changing faster than ever, yet remain focussed on delivering outcomes in line with our vision, mission, values and principles. Economic, political and social change has created a very different world to what existed when we were founded in 1999. It is necessary for IARC to respond to those changes. Despite challenges faced by many members in the sector, mostly in Australia, IARC remains resilient. We have phased out course accreditation for NEW applicants only.We are currently exploring proposals to replace the previous system, with a Standards for Continuing Professional Development (CDP) Courses or providing members with an IARC Quality Award. After 9 years of service as Secretary, Jade Sciascia has moved from the position of Secretary based in Australia, to become Business Manager operating from Stirling in Scotland. She is working to increase the presence and reputation of IARC in the UK. The Secretary in Australia is Sarah Redman and continues to support IARC’s formal obligations. Much of our efforts this year have been devoted to helping members with information related to General Data Protection Act 2018 (GDPR privacy law) changes in the UK and beyond. 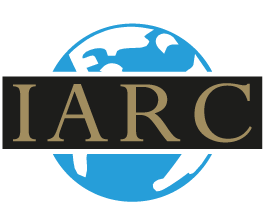 IARC too has been impacted by GDPR with the annihilation of our mailing list subscribers. Additionally, the Tertiary Education and Quality Standards Agency (TEQSA) Act 2011, amendment August 2017, presented litigation cases for some of our members. This change to education law in Australia has had an enormous impact on private education, our members and on our business. Responding to the amendment has cost IARC financially with staff resources deployed.It is noted that hours spent on IARC business increased threefold since December 2017 – a significant and unexpected cost. We have redeveloped and launched a more modern web site over 2017/18. This continues to be our main platform and work continues. We have made further additions in respect of GDPR opt-ins and privacy requirements. The traffic on our web site has stayed consistent (there was a dramatic fall in December when we launched the new site) but it has recovered to almost 1000 visits per month. Our bounce rate continues to fall. Our membership enquiry rate has returned to a steady level, after also seeing a very quiet spell during Quarter 1, 2018. We have reactivated our Facebook page and LinkedIn group, acknowledging the ongoing worth of social media. We have a total of 74 members – this includes all categories of membership. Full fee paying members, honorary members and subsidiary memberships. This is an increase of 7%, from 69 in September 2017. There are 2 prospective member applications being worked on at present. There were a total of 12 new members (including 6 subsidiaries of current members). IARC rejected an application, which was later successful at appeal. IARC rejected 3 member applications during 2017-2018, none of which went to appeal. IARC lost 5 members in total for the following 2 reasons: the schools ceased to operate or there were staff changes at the school and new management decided not to renew. We terminated the memberships of 2 persistent non-payers. We wrote off a total of $3688 in ‘bad debt’. There are 7 members who are currently considered non-financial with invoices unpaid for the 2018-19 member’s fees. Our most significant change this year has been a renaming of our organisation to better reflect our evolving purpose. The role of formal accreditation systems has become increasingly unsettled in many developed countries, while at the same time credibility of individual institutions has been increasing in importance. Networking between different institutions has been growing. There has been global growth in “micro-qualifications” or shorter courses. Informal and non-formal learning is widely expected term coined by the European Centre for the Development of Vocational Training (CEDEFOP) but decreasing enrolments in degrees and diplomas in many countries across the board. Of course there are exceptions to this trend, however on all reports we have been seeing and through the strength of our own connections, formal education systems have been facing financial, quality and political stresses in the UK, Australia, the USA and other countries. While this may initially sound pessimistic, the current volatility in the education industry also offers opportunities. Perhaps short term opportunities for short term operators to capitalise on the disruption, but much more importantly, long term opportunities for those who have the foresight, commitment and capability of rebuilding an education system into something that is far more effective than what we might have seen for many decades. I don’t know with certainty what the future may look like, but I do know it will be markedly different to the present. 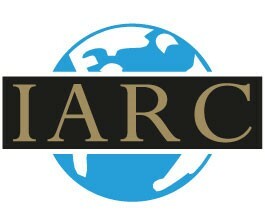 The International Accreditation and Recognition Council is now formally called IARC. We are a still a non-profit organisation operating in line with the Incorporated Associations Act 1981 (updated as at March 2017). What changes are happening and when? We have a new name, a new slogan, and new branding with fresh new logos. We’re also making changes to what membership includes. All changes are gradually coming in now and will continue to emerge throughout 2018. It is expected you will see old branding in places for some time, so if you do, we'd appreciate if you would drop us an email to [email protected] to let us know! This website is undergoing some updates throughout June. We are also on the look-out for more people to participate at Committee level, increasing our member services, improving our visibility through our social media platforms, increasing valuable contact with members, revising our internal procedures and more. What does IARC now stand for? The association offers membership to schools, colleges and universities who want to be part of a thriving network. The association recognises institutions and educators who aspire to excellence in tertiary education (that is anything post-secondary of course!). What do you really need to remember? We are phasing out course accreditation. In short, new member applicants will no longer be able to refer to a course as "IARC Accredited". It won’t exist. Members who have already achieved that however will be able to continue promoting their accreditation for the time being. There are some hot issues around the concepts of accreditation – so there’s much debate to be had. We may replace traditional accreditation with a Quality award, stamp or similar. What is the way to answer questions about accreditation and recognition from students? You would be expected to say the school is a member of the organisation (association). To reassure students, explain IARC has carried out rigorous checks to ensure the school (member) offers a standard of quality in 4 areas: administration, course delivery, course content, and course assessment. We don't say a school or a course is accredited. You may find your ways to explain we recognise quality! What are some other key points about our organisation? We value inclusion, being conscious that we offer fair and non-discriminatory opportunities, ethical standards are firmly embedded in the organisation's operations. We also value that in our members. Contact us! [email protected] We’re delighted to help. This is a snapshot of big changes. We understand some clarity may be sought. We are here to support you in that. The mechanisms underpinning traditional tertiary education are crumbling. Although university pathways are often recommended for continuing students, advances in technology and the need for specialist training and continuing professional development (CPD) have opened up a new market for learners. Online and distance learning, once the poor cousin of face-to-face university lectures, are now a vital and disruptive force in the education sector. Old world mechanisms, such as passive lecture delivery, are giving way to active learning strategies, including practical tasks and real-world application. In 2020, Finland's secondary school system will transition from a core curriculum to student-led investigations using a holistic approach. These investigations will focus on preparing students for real world tasks. This focus on directed, experiential learning encourages students to explore the connections between theory, utility, and subject-adjacent fields. And yet, many universities are leaning away from such innovative practice, turning their focus more toward self-preservation and away from their core purpose: furthering learning. Today, our knowledge base changes so rapidly that what you learn in your first year of university course may be outdated and irrelevant by the time you reach third year. Regular upskilling and CPD across a variety of fields are important to remaining relevant in an ever-evolving job market. In Australia, teachers are required to undertake a set number of professional development hours. Many engage with this requirement through specialist providers outside the university system. Population changes and economic needs also drive changes in the labour market – according to the Australian Department of Jobs and Small Business, there was a 35.9% increase in Animal Attendants and Trainers from 2011 to 2016. 30% of these workers hold no post-secondary qualification. Similarly, data shows a 21.6% increase in Education Aides over the same period. 30% of these workers also hold no post-secondary qualification. The validation of learning outcomes, namely knowledge, skills and competences acquired through non-formal and informal learning can play an important role in enhancing employability and mobility, as well as increasing motivation for lifelong learning. With the advent of globalisation and increasing global access to an educational free market, such recognition is increasingly important for nations all over the world. The traditional route to an MBA for instance has been to complete secondary school, then undertake 3 years of undergraduate and 2 years of post-graduate study at a university. The ATHE option can offer six levels of study, starting with a Level 3 Diploma (equal to senior secondary school) and ending with an MBA; and the student has the option of moving from one institution to another, at any of those levels along the way. They can also stop and walk away with a qualification at an earlier exit point. The ATHE system offers great flexibility with many institutions already participating, as diverse as Cardiff Metropolitan University (Wales), Southern Cross University (Australia), Warnborough College (England), and Anglia Ruskin University (UK). The world’s first block chain university (Woolf), has been founded recently by University of Oxford philosopher, Joshua Broggi. This is a bold initiative which potentially will allow institutions to greatly reduce bureaucracy, lower tuition costs, secure teachers income and increase interaction time between students and teachers. Succeed or fail, this development is another indication of a rapidly developing trend for universities to transform into something different or be replaced by something different in the future. Technology and scientific developments provide new, better pathways to learning. Management systems developed in the 20th century were designed to work with a world changing at a 20th century rate, but these systems are mismatched with the 21st century. Conducting lengthy studies and formulating plans over many years may have worked well in the 1950s, but to do so in the 21st century often means implementing a response to a problem years after the fact. Shifting environments and rapid increases in knowledge require flexible learning paradigms. Post-secondary education is changing. There will no doubt be disruption into the future, with failures and successes among the many innovations that emerge (just as there was in the industrial revolution). It may take years in some countries and decades in others, for the dust to settle, but just like the industrial revolution, the countries that work with new technology first will be the ones that have the greatest advantage. 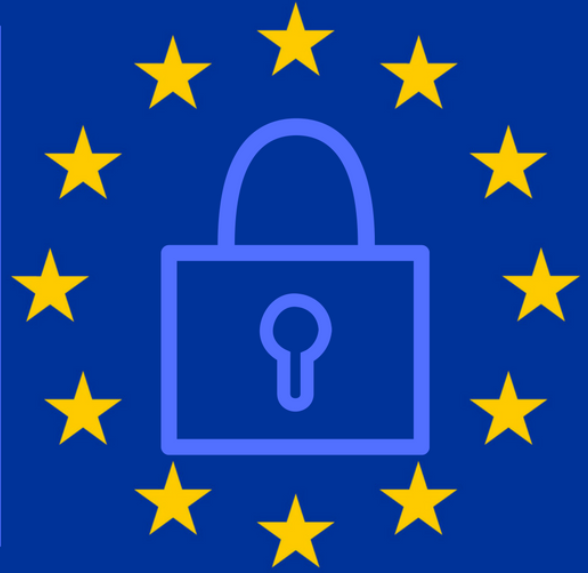 The General Data Protection Regulation (GDPR) (EU) is a regulation in EU law on data protection and privacy for all individuals within the European Union. It addresses the export of personal data outside the EU. The GDPR aims primarily to give control back to citizens and residents over their personal data and to simplify the regulatory environment for international business by unifying the regulation within the EU. When the GDPR takes effect, it will replace the 1995 Data Protection Directive (Directive 95/46/EC). Please note this information was accessed (extracted from) on wikipedia on 28 March 2018. You are responsible for checking the accuracy of information which applies to your business.